Indeed, chess is a lifelong passion, and rightfully so. The pleasure, excitement, and satisfaction gained from winning chess games have intoxicated many, and they altogether promise an experience beyond words. When you join the Chinese Chess Club, we promise you not boring weekly gatherings for a little more than a year but the mere beginning of a pursuit that will last a lifetime. Because here we believe: Once a Chess Player, always a Chess Player. We guarantee that if you see the mind-blowing beauty of chess hidden and intertwined with its complexities and intricacies, you will play it for a long time to come. Here at the Chinese Chess Club, we offer you the chance to taste and experience this for yourself. There is absolutely no prerequisite in terms of skill level, all we are looking for are people who have the interest and a willing heart to learn. We warmly welcome all beginners; we are more than willing to share with you the rules and basics of chess, and of course some of the more advanced tactics later on. We do have a coach during weekly trainings, and our trainings take place every Tuesday from 4pm-7pm. Trainings comprise a wide variety of activities, including coaching sessions by our coach, followed by chess puzzle solving and sparring games, as well as analysis either by our coach or by fellow players. Occasionally, we would also spar with our coach. Although trainings officially end by 7pm, many of us stay way past that time to play and chat. As a CCA, we take part in numerous competitions throughout the year. There are individual and team Chinese chess competitions, where the former would comprise competitions such as the annual Char Yong Student Xiangqi Championships. Team competitions are an especially good way to strengthen bonds between our players, as we have to prepare and work together to win each match – every board, and therefore every player, counts. I wish I could capture snippets of moments of euphoria we have experienced during competitions, but unfortunately we have enjoyed these moments too much to capture them. 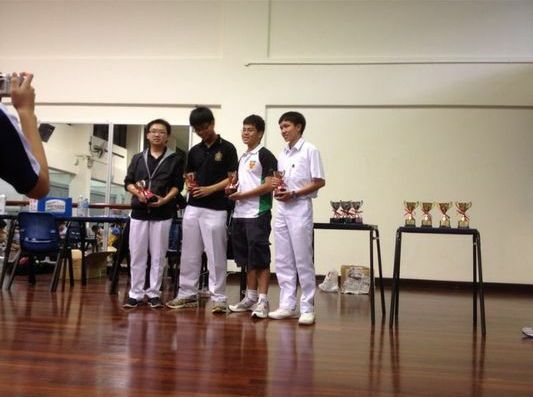 With regard to team competitions, the Chinese Chess Club also organizes the annual Raffles Cup Chinese Chess Competition each year in June. This year, we hosted the 38th Raffles Cup. The competition features a team event as well. 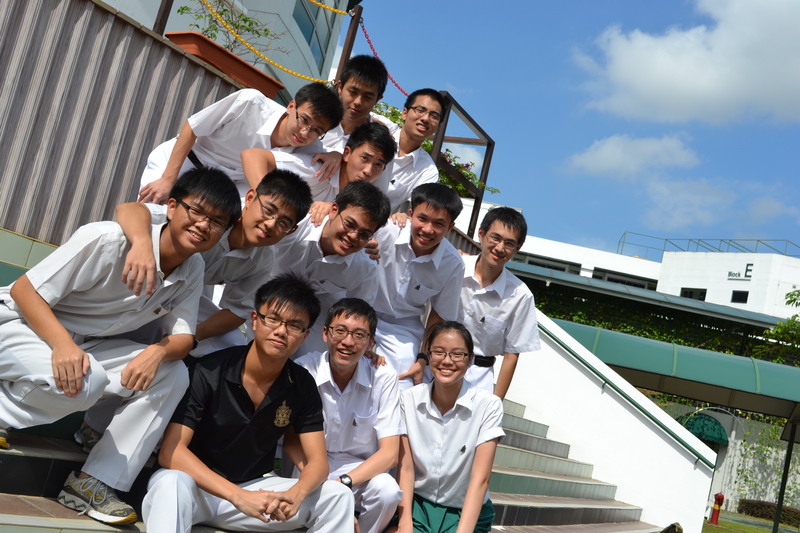 Need I say that we organize the inter house Chinese Chess competition too? 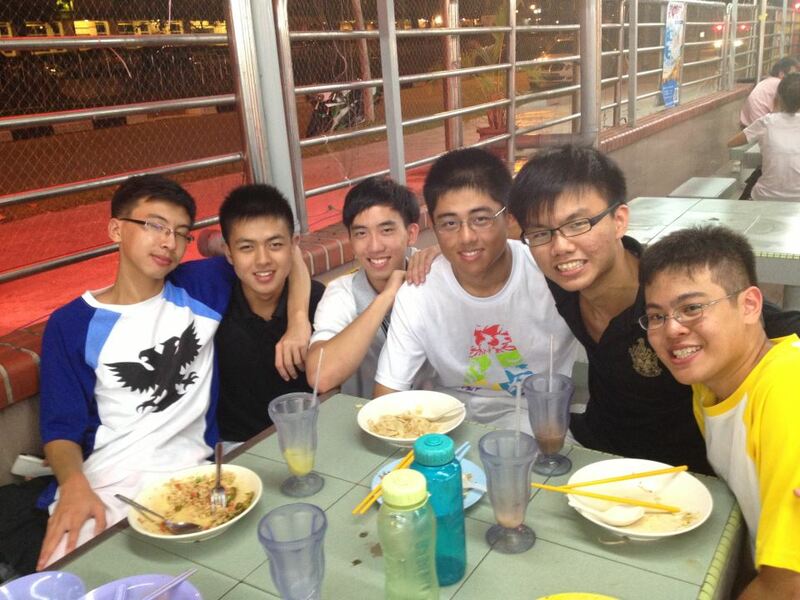 Of course, when you join the Chinese Chess Club we promise you more than a CCA. We promise you countless hours of excitement and fun in training sessions and numerous chess competitions throughout the year, late night gatherings, the occasional party, basketball games, long chats on the MRT ride back home, a good bunch of buddies, and most importantly, chess sets and clocks in the cupboard. I know your journey here will definitely be made unforgettable by the three of us: me, you, and the Chinese Chess board. Chinese Chess involves thinking strategies.